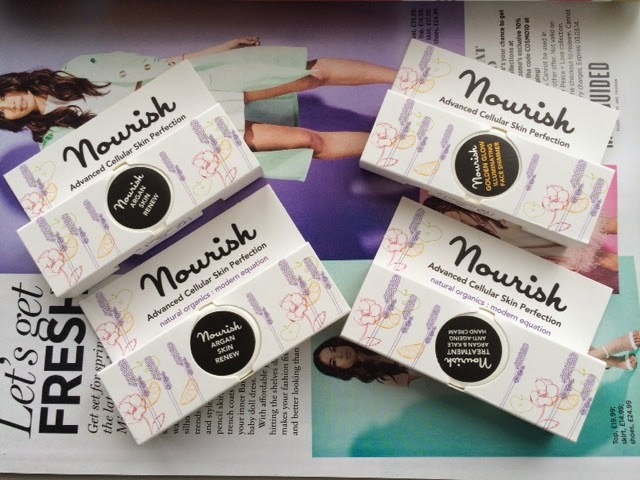 The lovely people at nourish sent me over some samples of their products to try, firstly I have to say I love the packaging the pattern is so cute and the tiny little pots are adorable and will be great to re use when going on holiday. 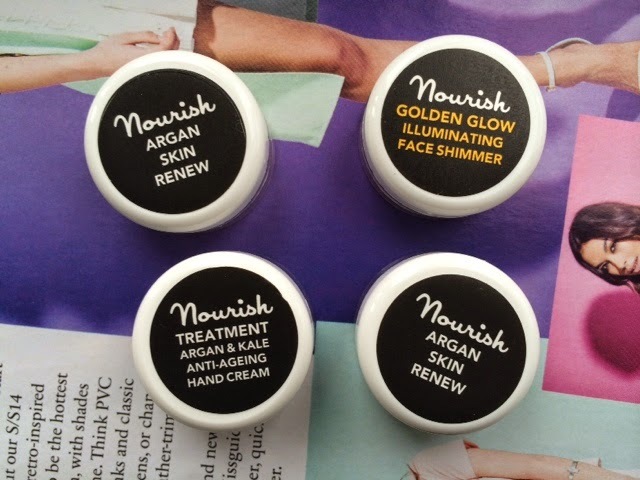 Firstly the Argan skin renew I really liked this as I felt it left my skin hydrated which is always a bonus for me as I normally have quite dry skin. It didn't feel to heavy on my skin infact it left my skin feeling quite light and refreshed. I'm not able to coment whether it reduces stress lines because luckless enough I don't have any. The golden glow illuminating face shimmer was great, it balanced out my skin tone, left my skin looking healthy and gave my skin a very natural look which is always a plus for me. What's your favourite daily moisturiser? Nice review! I love argan beauty products. I use the Babaria 4 effects moisturizer. I'm in love with it!